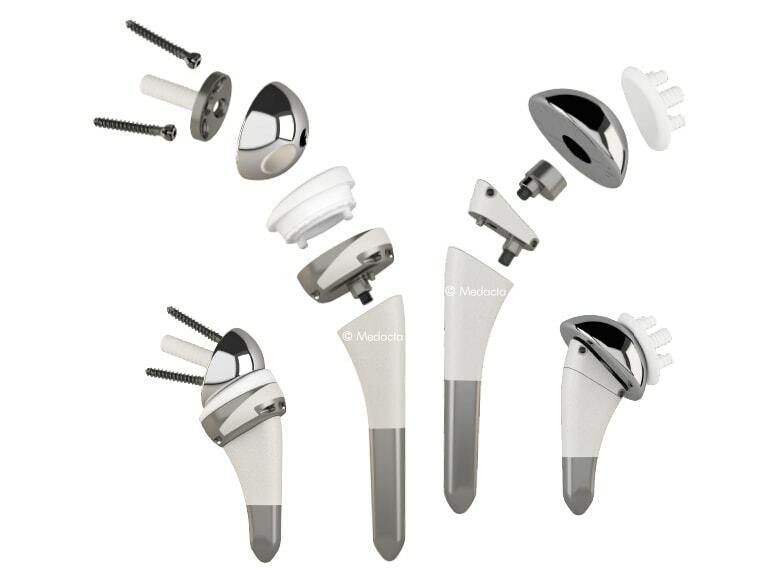 The Medacta Shoulder System is an innovative shoulder replacement system that features a broad range of options and allows the surgeon to choose the best implant for the patient. It is a modular system that offers the flexibility, if necessary, to move from a hemi-arthroplasty to a total or reverse arthroplasty. 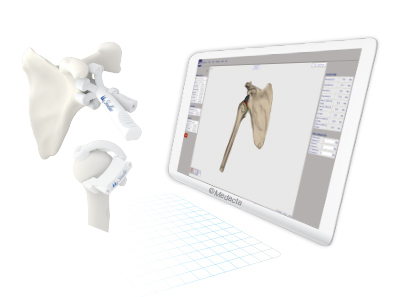 Medacta's patient matched instrument platform for Shoulder Replacemen includes a set of 3D printed patient-specific guides to deliver accuracy and adherence to pre-operative 3D plan. The MyShouler is based on CT images of the patient’s shoulder and dedicated Humeral Cutting Guide and Glenoid Pin Guides are designed and manufactured with consideration of patient morphology and surgeon preferences. The system delivers accurate and reproducible implant placement.